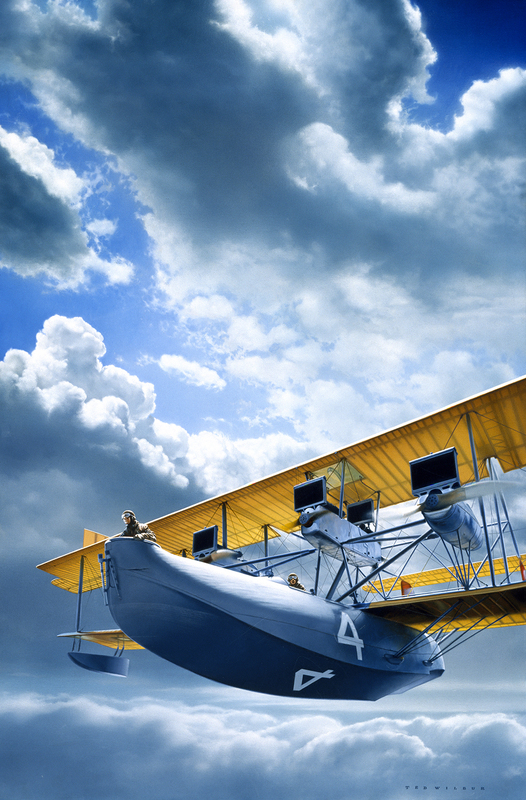 The U.S. Navy’s Curtiss NC-4 flying boat made the first crossing of the Atlantic by air in 1919. Note the uncomfortable, exposed position of flight commander and navigator Albert Read in the nose. Read’s discomfort was only one of many navigational shortcomings of the 15-day, multiple-stop voyage. Out of three airplanes, only the NC-4 completed the entire flight.